This was one of the most emotional reactions to a First Look that I've seen. I set the groom up to be facing away from the path of the Bride. She walked up slowly to him and tapped him on the shoulder. He turned around and had one of the best reactions ever. 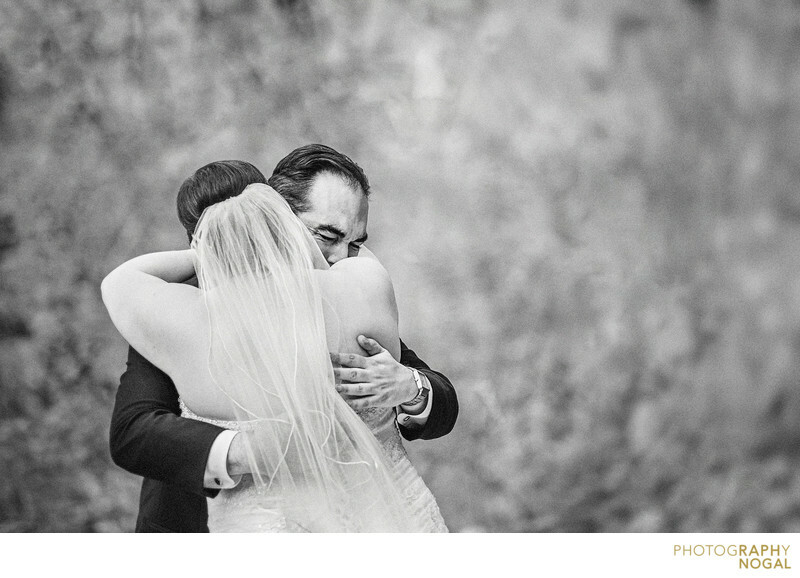 They embraced in a hug and unexpectedly, the Groom was filled with emotion as he embraced his Bride-To-Be and started crying. First looks allow for a private celebration with raw emotion and I'm so lucky to be able to capture those emotions for my couples. Unlike walking down the isle at church, where things are more formal, a First Look or Reveal allows for realness, rawness and not holding back on anything. Having that trust and comfort with your photographer is so important so that you can allow them into your bubble.